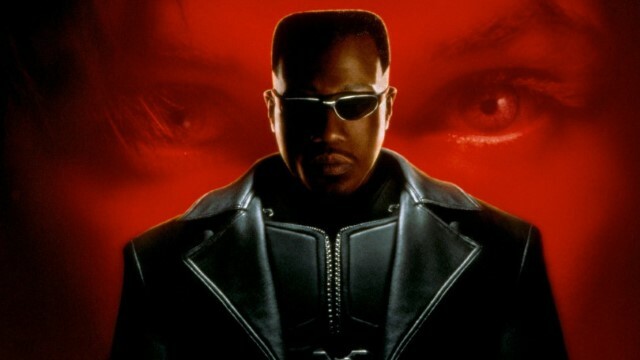 The importance of Wesley Snipes’ Blade movies in laying the groundwork for the superhero-laden pop culture landscape we’ve come to know and love should never be underestimated. Still, one cannot help but wonder if Snipes’ vampire-hunting hero missed out on some of the limelight by hitting screens well ahead of the curve. Whatever your thoughts on how an MCU-inclined Blade would look and feel (watered down by the franchise model or amped up by a superior budget? ), the notion is at least interesting to think about. Wesley Snipes sure seems interested in thinking about it, as he’s apparently got two Blade projects he’s discussing with Marvel. During an interview with Vice, Snipes answered a question about a prospective Blade 4 with the remark, “We’ve created two projects that fit perfectly into this world,” presumably referring to the Marvel Cinematic Universe, as the conversation just prior affixed on the successes of Black Panther (a character Snipes himself almost played back in the ’90s). Snipes went on to say he’s been “discussing [the projects] for the past two years” with Marvel Studios, though he implied there’s no definite form to them just yet, much less a projected date for production. This isn’t the first time we’ve heard such rumblings, as Kevin Feige himself made mention of the prospect earlier this year. Still, we don’t know whether the pair of projects Snipes is referring to will take shape as two movies, a film and a TV show, or what. He does mention “what we did before is child’s play compared to what we can do now,” suggesting perhaps that whatever he has brewing will be amplified by Marvel movie money. Finally, Snipes was hesitant to concede that he knew of any contemporary young actors who could fit the Blade bill; he didn’t say outright that he’d be assuming the role himself if a project were to come to pass. Granted, as the project seems to be a ways away from finding true life, there’ll be plenty of time to discover a proper new Blade if that’s the direction Snipes and company are planning. Would you be game for more Blade? Let us know what you’d like to see the MCU do with the iconic character!